“He exposed the insider trading on legislative knowledge that made members of Congress into millionaires. He blew the whistle on the pay-to-play racket that defined the FBI’s investigation of the Clinton Foundation. 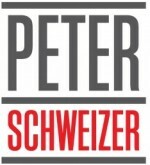 During the Obama administration, reports like those made Peter Schweizer the favored investigative reporter of the right. Now, Schweizer gets especially bipartisan in his new book, “Secret Empires: How Our Politicians Hide Corruption and Enrich Their Families and Friends.” Judging just from the cover of the strictly-embargoed book, the Trump family should probably be worried. “Secret Empires will expose vast corruption by top Washington figures who leverage their political power to enrich their family members and friends, often by helping grease deals with foreign entities,” publisher Harper Collins trumpeted in a press release.